Families for Orphans: Have a family member or friend who does NOT know Jesus as their Lord and Savior? GIVE him or her a copy of HOPSCOTCH! Have a family member or friend who does NOT know Jesus as their Lord and Savior? GIVE him or her a copy of HOPSCOTCH! Give a copy to a loved one! Available on Amazon here: Hopscotch on Amazon. 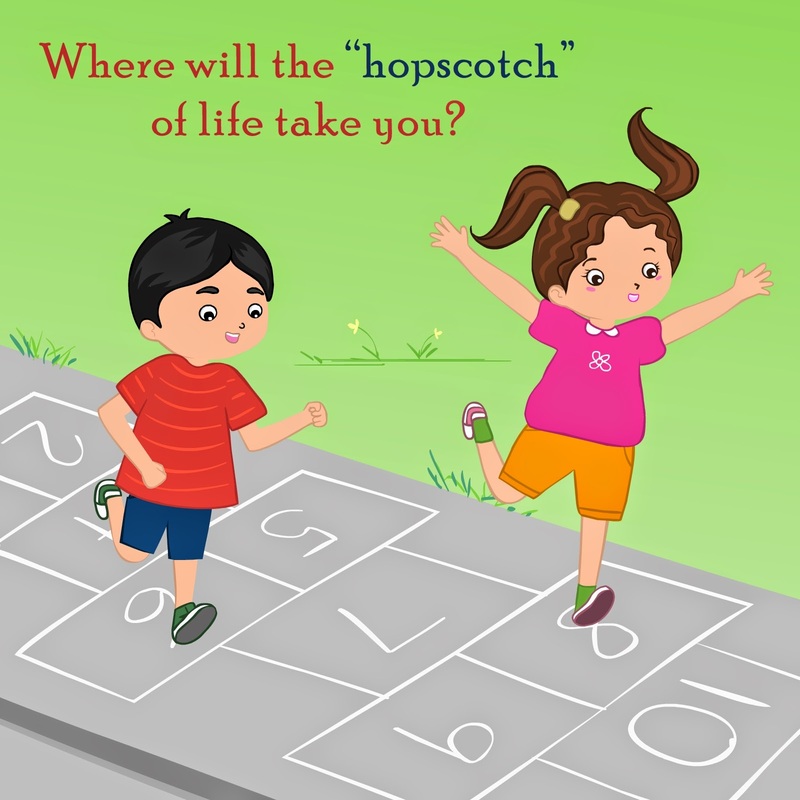 Download FREE e-book version of HOPSCOTCH here: E-BOOK HOPSCOTCH. Visit and LIKE our Facebook page for HOPSCOTCH here: HOPSCOTCH on Facebook. WARNING: This is not a children's book...even though most children will understand its contents. It's a book to give to your friends and loved ones who have not yet decided to join the family of God. Hopscotch is a little book about LIFE, about life after DEATH, and about BELIEFS. Although Hopscotch takes on the appearance of a children’s book, it is very much a book for every citizen of planet earth. Where is the hopscotch of life taking you or taking a person you know who has not yet believed on God's gift of Jesus Christ? One thing is for certain: all of us will someday be jumping from the LIFE box of “hopscotch” into the DEATH box. When we take that jump, what happens? Does it matter what you and I believe? If you have ever tried to explain the simple truth of the gospel to a friend or loved one... and cannot seem to get to first base... give them a copy of HOPSCOTCH. What happens to you and to me after we die? What happens to your friends after they die. Let little Myra explain it all in HOPSCOTCH.